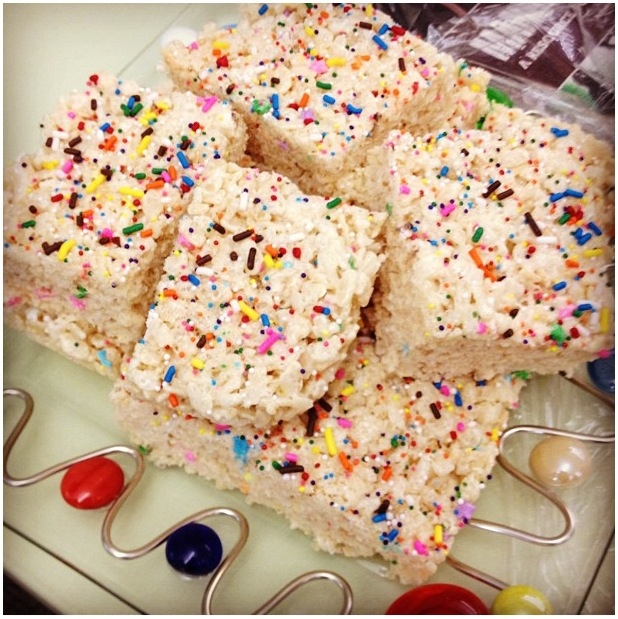 Treatsie Tuesday: How to Start a Treat Day at Your Office | mrs. and the misc. I want to dedicate this post to the four founding members of Treat Tuesdays, now affectionately referred to as Treatsies, Treatsie Tuesday, Best Day of the Week, etc. 1. 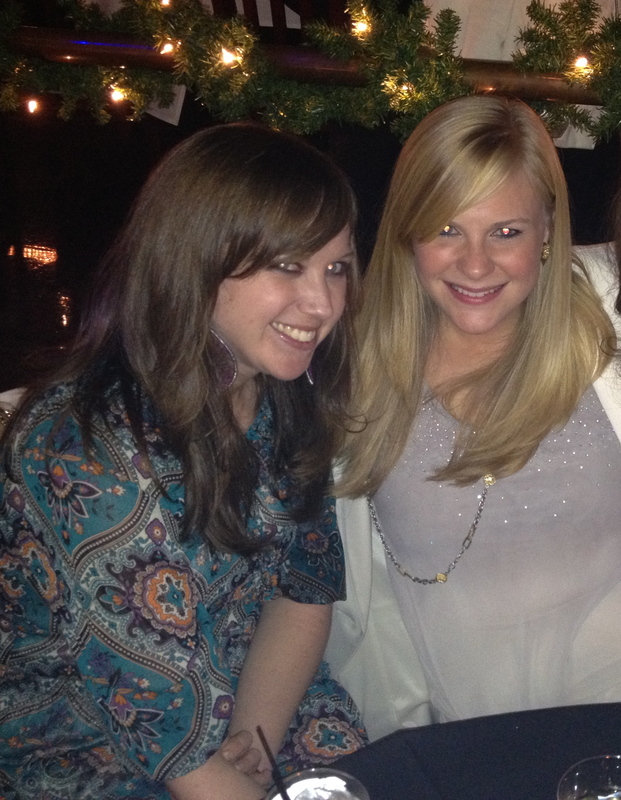 Alex, she’s secretly the nicest person in our office. Her sarcastic personality throws newbies off, but once you get to know this girl – man, what a doll! I was fortunate enough to sit next to her for almost three years, and still am relatively close. This girl can do EVERYTHING and will do just about ANYTHING for you, and has for me on several occasions. I think “sister” is a good comparison. 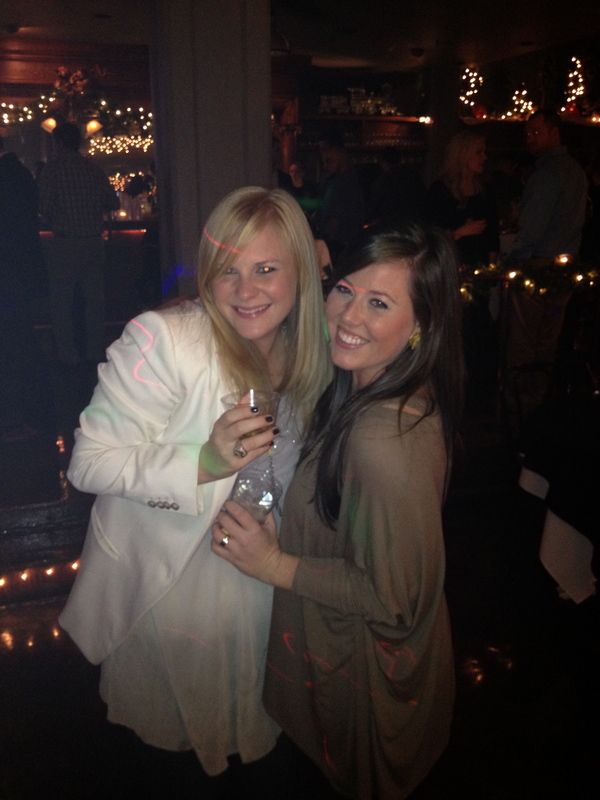 Especially since I don’t have family in Little Rock and she’s filled the shoes of mine a couple times. 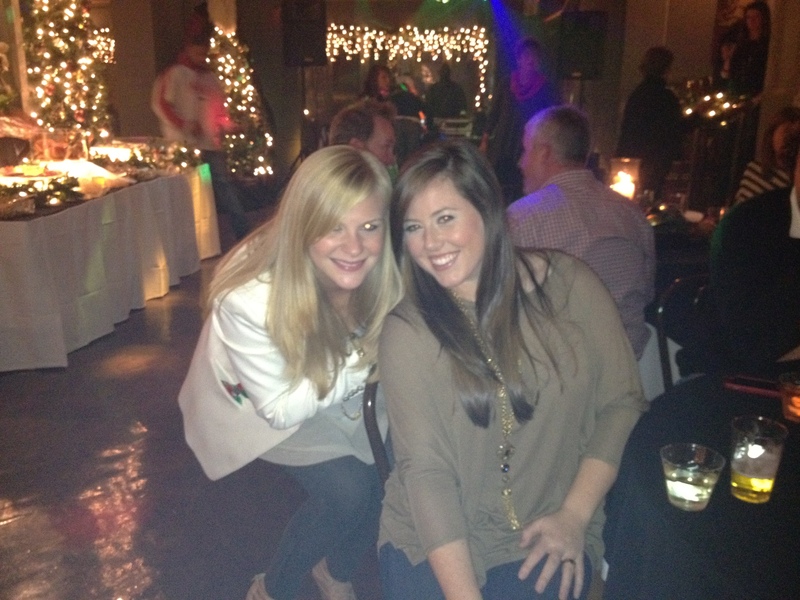 Alex and I at the company Christmas party. She’s the cutest. 2. Then there’s Cara. Dear sweet, animal loving, perfectionist Cara who just gives and gives and gives of her time to anyone and anything at work, all while working on her master’s. Not to mention, she always splurges on Treatsies, bringing us Starbucks pastries or cake pops. 3. At the time of Treat Tuesday conception, Blair (remember the Craft Party I blogged about?) was new to our company. But it didn’t take her but about 5 minutes to feel at home in our cube quadrant. She, Alex, Cara and I used to start our mornings with a little rotating of our chairs and gossiping for 30 mins before daring to dive into our workloads (back in our pre-renovation seating arrangemnt). Blair always had fun stories from her glamorous years in NYC. She’s a fancy NYU grad with the hip wardrobe to match. Love her. 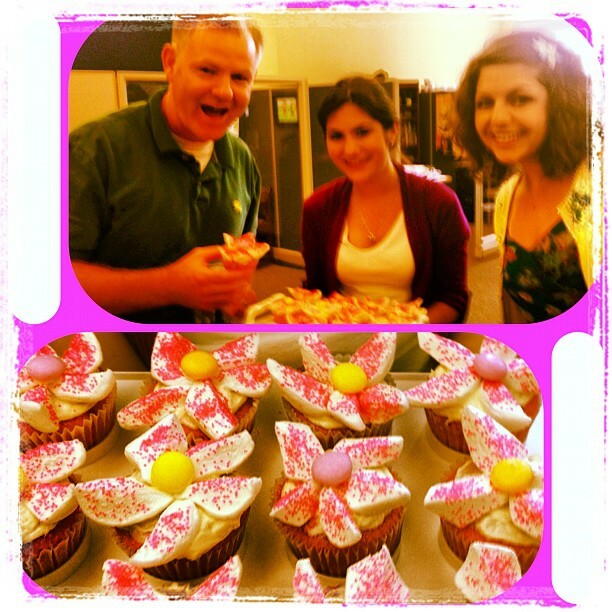 Treatsie members: Mark, left, former intern Neelam (and her cupcakes), and Blair, right. 4. Me. Founder. Unfortunately, the idea is one I can’t take credit for. 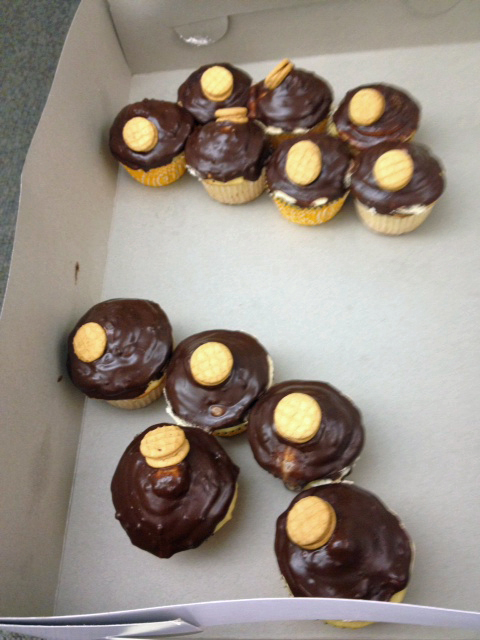 I have to credit my co-worker from The Dallas Morning News, Lisa Z.. She started Fatty Fridays (I think that was the name). And people rotated around our division of the newspaper, bringing fattening goodness to nosh on at critical points in our day. It was something we all looked forward to. 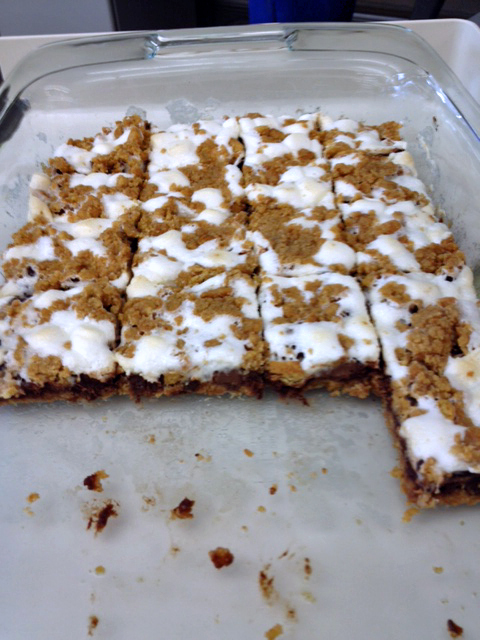 One of the best things about having a treat day at work is that it’s gotten us to try new recipes we’ve been meaning to try and it’s a great little calorie overdose, when we typically deny ourselves. Tuesdays are no longer that whole “still too far from Friday” dread, but instead a day we’re lured in to work by the curiosity of what new treat awaits. Most of the time it’s dessert or breakfast items. Yum! In fact, our little “club” was SO cool, about 10 other co-workers asked to join in. It’s great. A lot has changed around the office, one or two members have come and gone, but we’re keeping it alive no matter where we sit or who leaves the company. 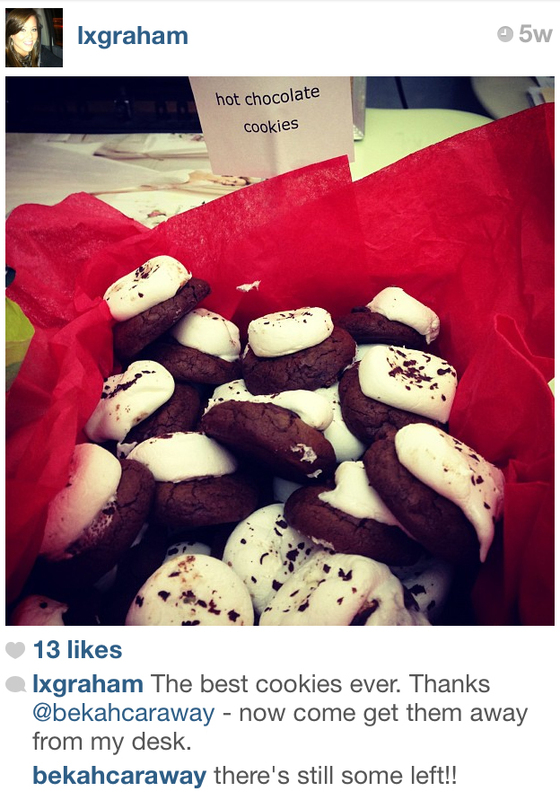 If I was going to choose someone from Treatsies as the best treat bringer … it’d be a tie between Blair and Bekah. They really put so much effort into baking something exciting and SUPER DELICIOUS. 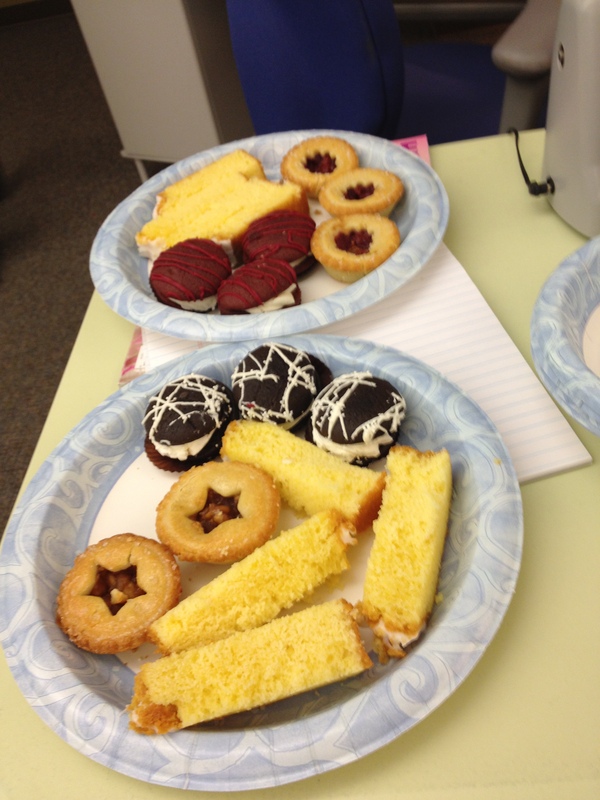 Below are photos of just a few of the treats brought by club members! 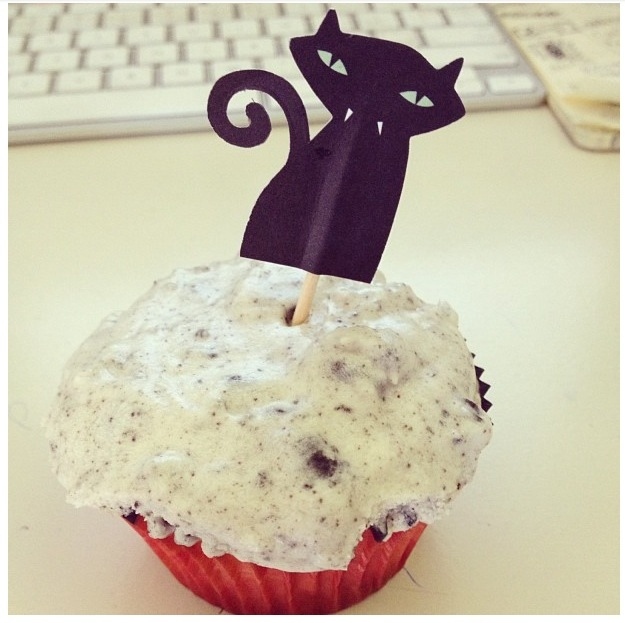 I hope this inspires you to create a treat club at your office with your closest comrades. It’s so much fun. 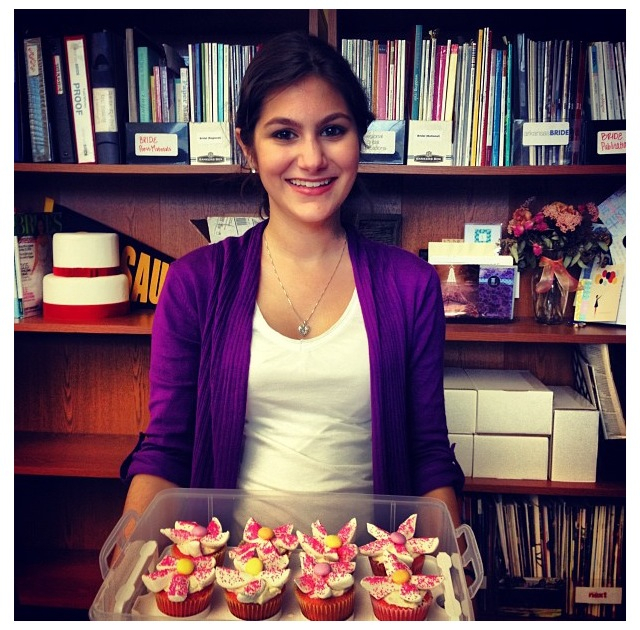 Our summer intern Neelam’s cupcakes. 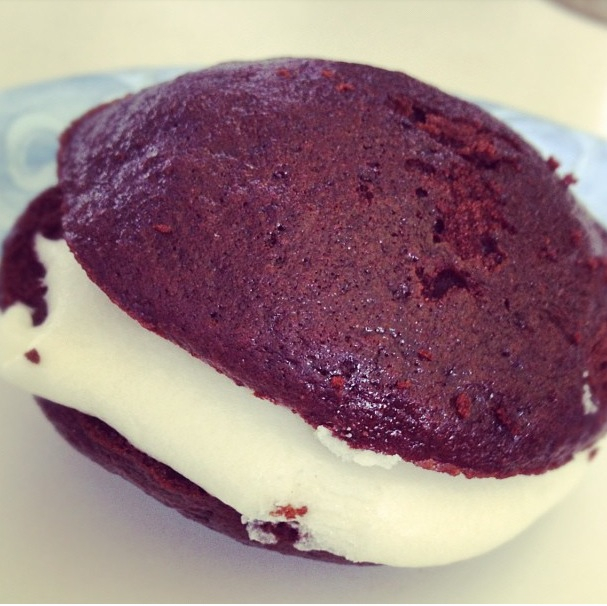 Red velvet whoopie pies – Mark F. brought these! That was a sweet little intro! Thanks, Linds!!! Everything looks great!!! What a wonderful way to make working more fun and enjoyable. Pingback: The Next BIG Thing: Treatsie, a Couture Candy of the Month Club | mrs. & the misc. Pingback: Recipe: Guilt-Free Vanilla Greek Frozen Yogurt Bars with Peanut Butter Crust | mrs. & the misc. Pingback: Easy Fall Dessert Recipe: Butter Pecan Cupcakes with Apple Butter & Cream Cheese Frosting | mrs. & the misc.